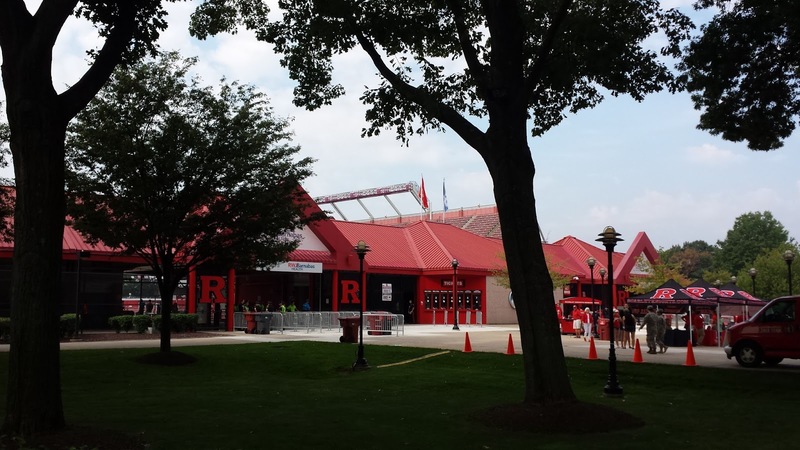 The Matt Ward History Experience traveled to Rutgers University in Piscataway, New Jersey for the first stop on the 2016 College Football History Tour. 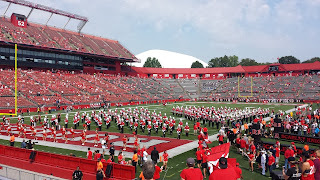 The Rutgers Scarlet Knights hosted the Howard University Bison (Washington, D.C.) on September 10th. 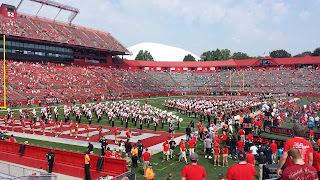 Rutgers University, the state university of New Jersey, is located in New Brunswick and Piscataway. The university also has campuses in Camden and Newark. The university was founded as Queen's College on November 10, 1766, and is the eight-oldest college in America. 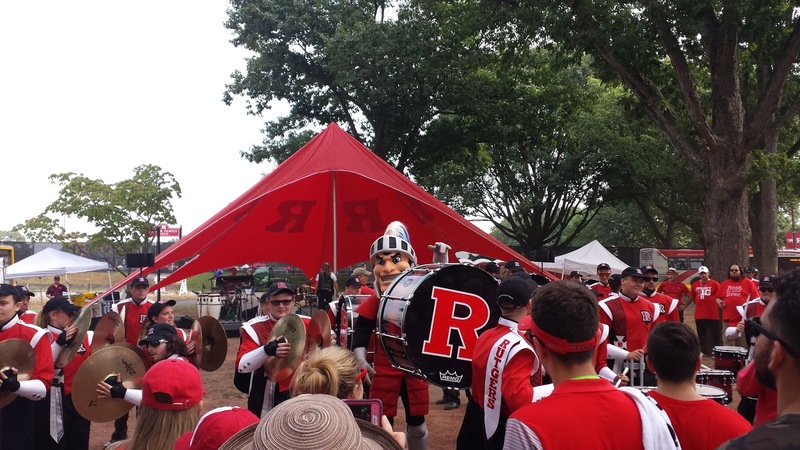 The university's name was changed to Rutgers in 1825 in honor of Colonel Henry Rutgers, a philanthropist, landowner and former military officer, whose donation of $5,000 allowed the school to reopen after years of financial hardship. 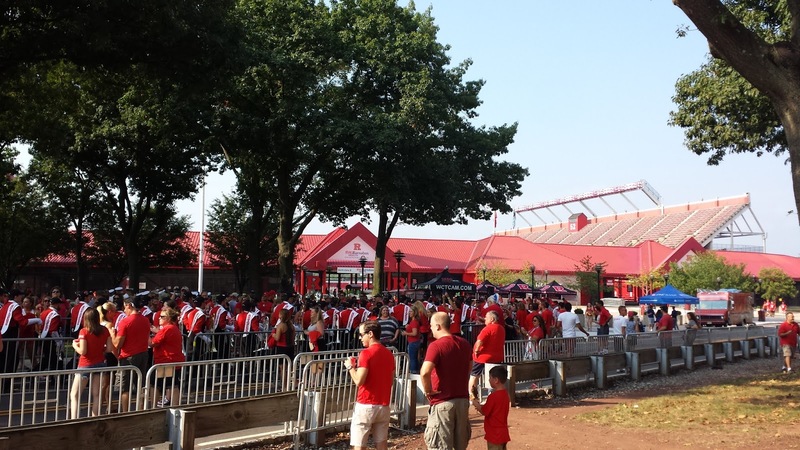 The football program at Rutgers University dates back to 1869. Rutgers faced off against their rival Princeton on November 6, 1869 on a patch of land near College Avenue. 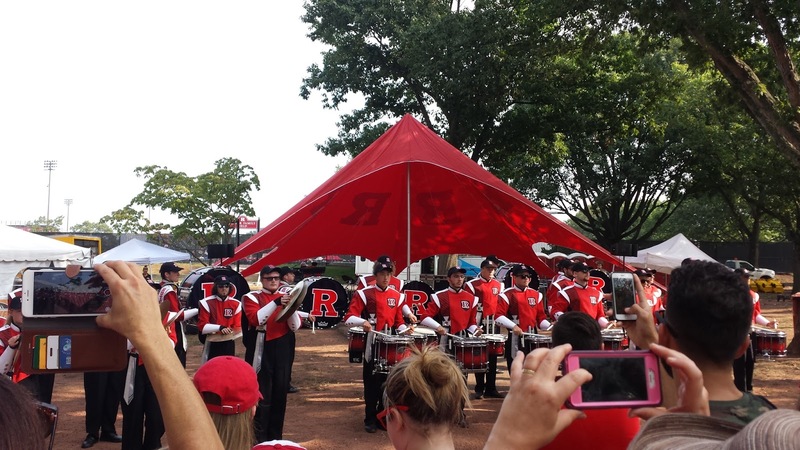 The Rutgers team referred to themselves as the Queensmen, and donned scarlet kerchiefs to distinguish themselves from their opponent. 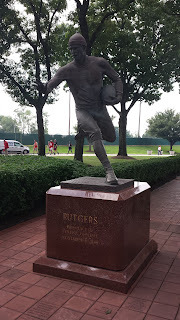 The Rutgers squad, captained by William J. Leggett, won the contest by a score of six goals to four goals in a contest that closely resembled rugby. This early college football matchup allowed Rutgers to claim the title of the birthplace of college football. 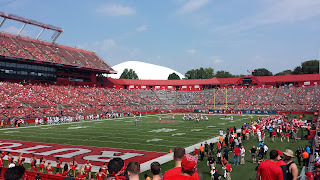 A week later the Rutgers team visited Princeton where they were defeated by a score of eight goals to zero. Rutgers claimed their only National Title to date during this season. 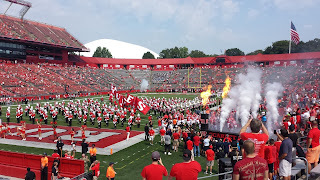 Rutgers was associated with a number of athletic conferences and divisions throughout its history. 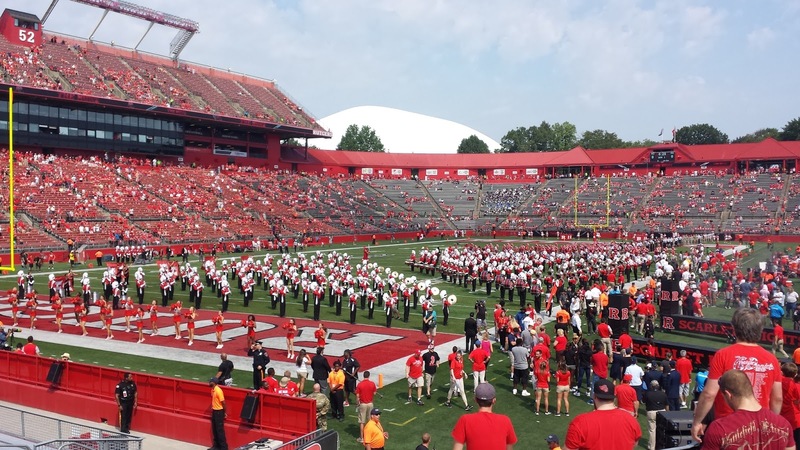 In 1893 and 1894, Rutgers was a member of the Middle States Intercollegiate Football League. From 1929 to 1975, Rutgers competed in the Middle Three Conference, a round-robin type tournament that included Lehigh University and Lafayette College in Pennsylvania. 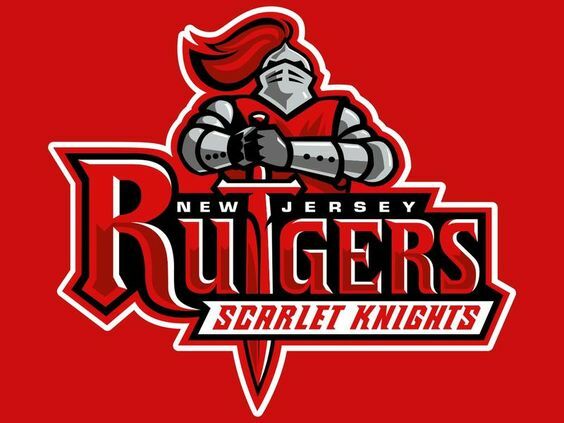 In 1955, the student body voted in favor of Scarlet Knight mascot. The university joined the Middle Atlantic Conference (MAC) from 1958 to 1961. 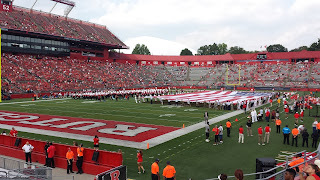 Rutgers won the MAC in 1958, 1960 and 1961. 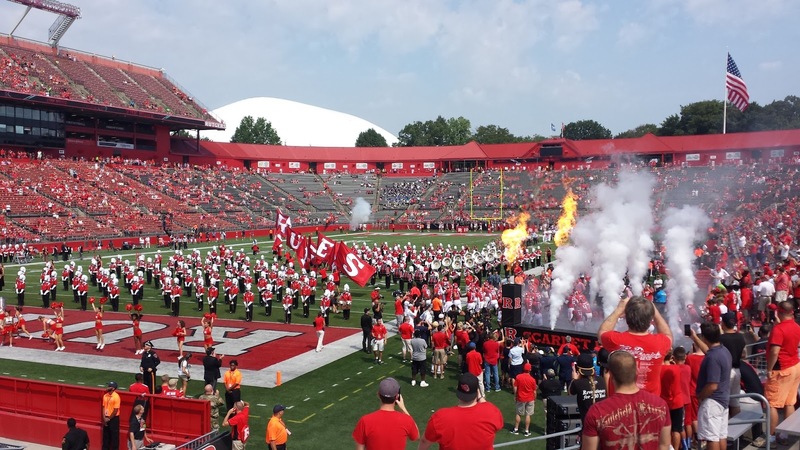 The 1961 team went 9-0 and was arguably the greatest football team in Rutgers' history. In 1978, Rutgers, then an independent school, participated in the Garden State Bowl. 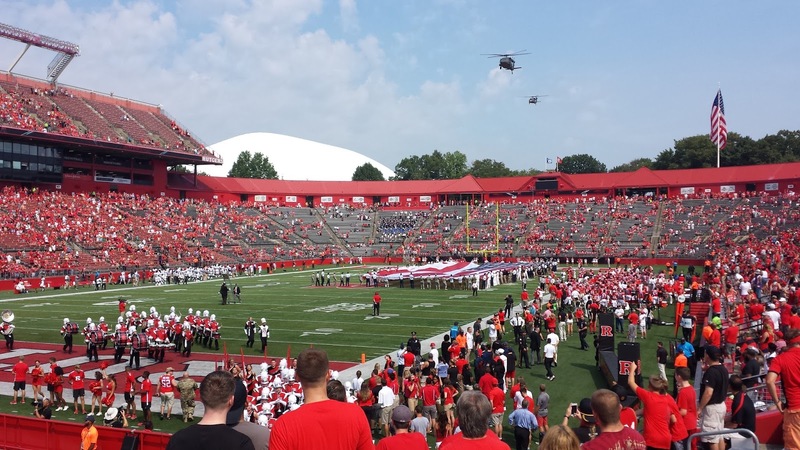 The Scarlet Knights were defeated by the Arizona State Sun Devils by a score of 34-18. 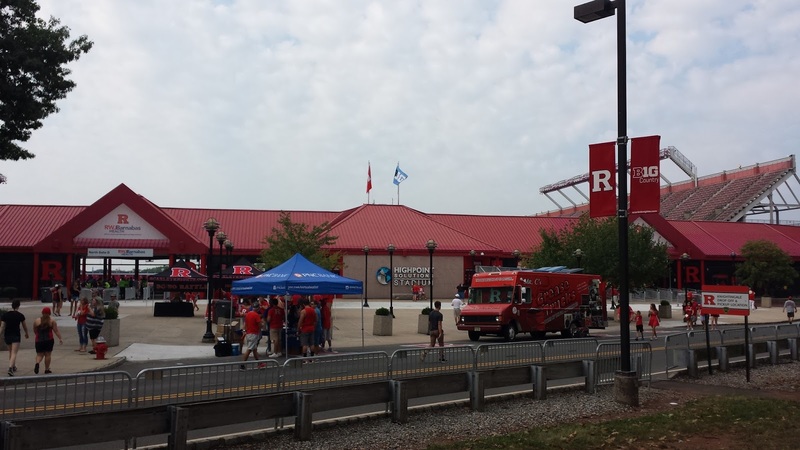 From 1991 to 2012, the Scarlet Knights competed in the Big East Conference. During this time frame, Rutgers played in seven bowl games. These bowl games included a 2005 loss in the Insight Bowl to Arizona State, a 2006 victory in the Texas Bowl against Kansas State, a 2008 International Bowl victory against Ball State, a 2008 victory in the PapaJohns.com Bowl against North Carolina State, a 2009 victory against Central Florida in the St. Petersburg Bowl, a 2011 victory over Iowa State in the New Era Pinstripe Bowl, and a 2012 loss in the Russell Athletic Bowl against Virginia Tech. During the 2012 season, Rutgers also brought their only Big East Conference title home to Piscataway. The Scarlet Knights played the 2013 season in the American Athletic Conference (AAC). 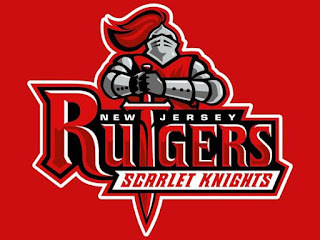 The Rutgers was selected that season to participate in the New Era Pinstripe Bowl, a game in which they were defeated by Notre Dame. 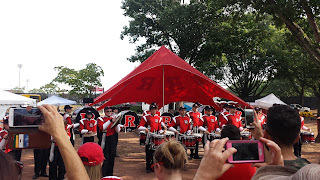 Rutgers joined the Big Ten in 2014. During this season, the Scarlet Knights participated in their last bowl game to date against the University of North Carolina in the Quick Lane Bowl. The Scarlet Knights defeated the Tar Heels by a score of 40-21. 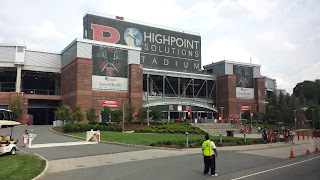 Rutgers has played home games at High Point Solutions Stadium (formerly Rutgers Stadium) since 1994. 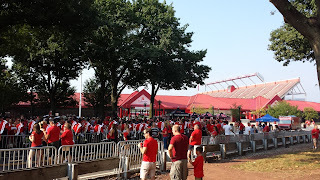 This stadium is built on the site of the original Rutgers Stadium that was completed in 1938. Prior to the original Rutgers Stadium, Rutgers football used College Field, and later Neilson Field from 1891-1938. 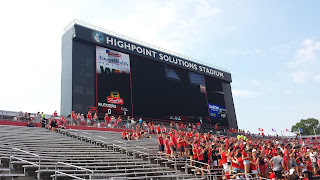 High Point Solutions Stadium holds 52,454 people, and the field's surface is made of an artificial turf called FieldTurf.